Over lunch last summer, I was talking to a colleague about some work I'm involved with on micro-machined gyroscope design. I was very surprised by how much he knew about gyroscopes -- though he knows a lot of things, I didn't really expect him to come to the conversation knowing about Delco's HRG design, about the Sarnac effect, or about the trouble with lock-in in early laser gyroscopes. But then he told me that he'd read an interesting article by a "sociologist of technology" that talked about the design history of the laser gyro and the various influences that lead to its relative success. "I'll bring it for you to read," he said.That was several months ago, and this evening I finally sat down to read it. It is indeed a very interesting book. 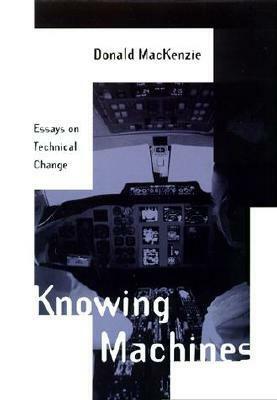 Apart from the chapter on the Sagnac effect and the evolution of the laser gyro, I was intrigued by the essay on how the national labs influenced supercomputing (something rather pertinent to me), and the essay "The Charismatic Engineer" about Seymour Cray. And then there's the essay "Negating Arithmetic, Constructing Proof." The first half of which was about the development of the IEEE 754 floating point standard, a topic that I happen to know in intimate detail, and the history of which I know quite well -- and never thought that I would read about from the perspective of a sociologist!The most interesting essay, though, was the last one: "The Uninvention of Nuclear Weapons." As a computational scientist who works closely with experimentalists, this was, again, almost unsettlingly close to home. The main point of the article was that nuclear weapon design involves a lot of tacit knowledge (what one friend calls "engineering sense") about the limits of different simulation codes and approximation methods; and that tacit knowledge is built on comparison of those codes and approximations to real experimental data. With a nuclear test ban in place, will that tacit knowledge fade, thus possibly "uninventing" the practical aspects of nuclear weapon design? Even granting that the world might have been better off without nukes, I find this thought somewhat unsettling. What more benign tacit knowledge might we be losing even now? Amazon 2009-08-05, impulse acquisition. This book suffered from being written by a sociologist, who (1) wasted a bunch of time up front with extended (about three chapters' worth) nonsense of a sociological nature (i continue to wait eagerly for something of merit to emerge from this "social science") and (2) terminated each of the subsequent admittedly-pretty-good essays on technological development with a confusing, unsettling reference back to the first sociological principles detailed early on. On the other hand, this pattern became useful, because it signaled precisely where one ought stop reading each chapter. Most laughable was his suggestion that we can "uninvent" nuclear weapons -- brother, I'm a contradiction of that hypothesis all my own. I'm rather offended at the ethical aspects of such a suggestion, perhaps more than the stupidity -- yes, Mr. MacKenzie, let's please return to an era where macroscopic, protracted war via chemical and mechanical death every few decades is the norm. Let's look to Rwanda, Sudan and Congo as fine examples of the base decency of man when the nuclear genie's still in the bottle. I'd far rather be hacked to death with a machete by my neighbor than leave some megatonnage under PAL locks! Fool, you have nuclear weapons to thank. This basically qualifies as sociology of technology, which is a little bit like sociology of science, so if you're allergic to that stuff, you've been warned. Not really sure I want to read all of this, but I remember reading some of them in school and they were interesting. Uninvention is an interest of mine.